TOPAZ HORIZON: My #SmartLife on Instagram is now FREE! 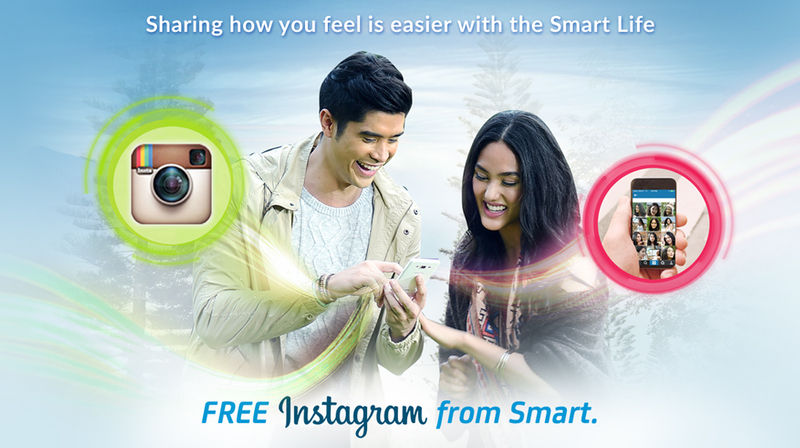 My #SmartLife on Instagram is now FREE! So if you're a Smart user—prepaid or postpaid!—you can avail of the Free Instagram promo. And of course you must follow me @francesasales! More about this offer by Smart after the jump! Millions of subscribers of Smart Communications (Smart) can now enjoy free access to one of the world’s most popular photo-sharing social media networks, Instagram, whenever they subscribe to top prepaid offers or the latest postpaid plans from the undisputed leader in mobile. With the Free Instagram offer, Smart subscribers will be able to freely browse their Instragram feeds and upload their own photos and videos from their smartphones without additional data charges. Prepaid subscribers will be able to enjoy free Instagram browsing and posting for up to 30MB per day with any popular prepaid promos that include All Text 20, Unli Call & Text 30, All in 99 and Mega 250, among many others. Users who subscribe to any of Smart’s Surf Plus Plans, meanwhile, will instantly be able to enjoy the Free Instagram offer as part of their freebie app bundle for 30 days. “More than just connecting, Instagram has allowed its users to give their friends and families a peek into people and the things they love the most—from the most vivid details of their daily lives, to the most exciting things that they are currently passionate about,” said Ariel P. Fermin, Executive Vice President and Consumer Business Group Head at Smart. “It’s more than just ‘sharing’, ‘liking’ or ‘commenting’—Instagram is giving Filipinos the chance to preserve their precious memories in visual form, and Smart is proud to provide access to all of these anytime, everywhere through our innovative mobile services,” Fermin added. The Free Instagram offer comes on the heels of the company’s efforts to help its subscribers live the ‘Smart Life,’ which gives them access to the best digital services and most meaningful innovations that allow them to live out their passions in life. The offer is seen to benefit the millions of Instagram users across the country, as well as those who have yet to try the app on their phones. Instagram is currently among the top five most used app by Philippine mobile users, according to the latest Ericsson Mobility Report. It is the latest in the aggressive bid of PLDT’s wireless units to further grow its mobile data business, which in the first quarter of 2015 rose by 19% year-on-year, culling more than P2.2 billion in revenues during the period. Smart’s mobile data traffic likewise increased by 188% during the same period, with subscribers exchanging more than 21 terabytes of traffic across the network fueled by pioneering offers such as the free Internet promo, which gave users 30MB of free mobile data everyday. With the Free Instagram offer, Smart is continuing to enable Filipinos to enjoy entertainment everywhere through their mobile devices, with the help of other game-changing partnerships and services through iflix, FOX, SPINNR, and YouTube, among many others. For more information, click on this link: Free Instagram.